We guarantee hot water in 24 hours, or we’ll take $100 off your bill! * Plus, we show up on time and finish on time! Not enough? How about a six-year warranty on your new water heater tank and parts? We’re sure you’ll love your system so much, you’ll forget all about it! We install an energy efficient line of water heaters from basic to highly advanced, on-demand. The decision you make now to call us will pay off for years in Savings + Comfort! Reliable performance, year after year. Don’t believe us? We’ll give you a six-year warranty to prove it! Offering the best prices on our complete line. After all, we want to make this simple for you, so you can spend your time shopping for fun things! These low prices include tank, installation, labor, and free removal of your old tank! Prices could vary depending on site conditions. 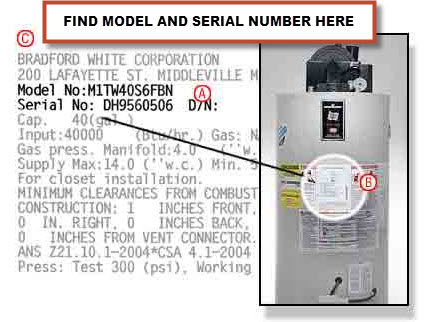 The Serial Number can be found on the adhesive sticker located on your water heater. The exact location of the number varies by brand, but is easy to locate.  *$250 Fee applicable for emergency weekend jobs.